Back in June I did a travel article app giveaway and since it’s Christmas approaching I’m doing another giveaway. 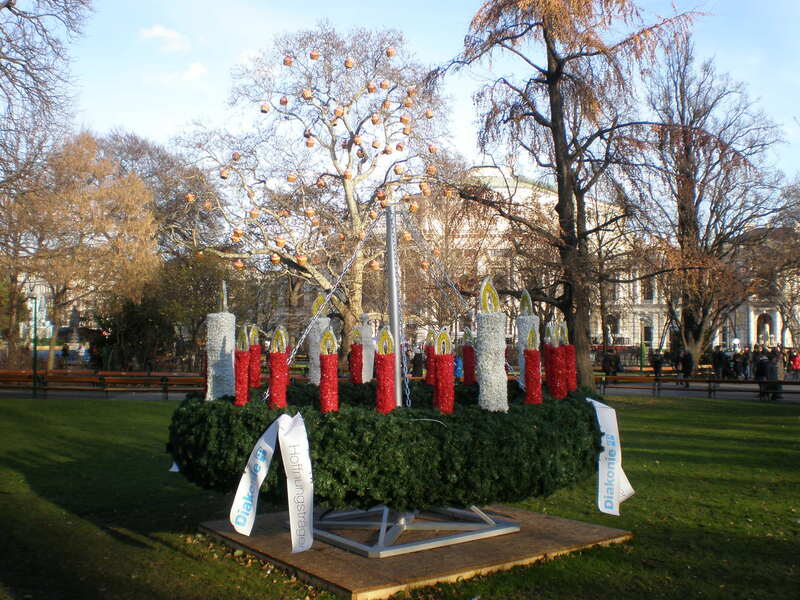 This time you can get a free upgraded version of my travel article app Christmas Markets in Vienna by GPSmyCity. So if you’re planning to visit Vienna, Austria any time soon you’ll need my guide for Christmas markets! 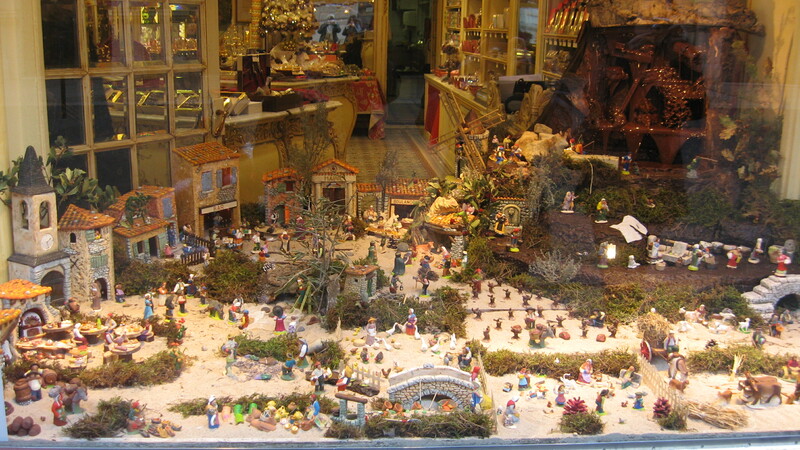 Where to find them, which are the best and what can you do at Christmas markets, it’s all in my travel article app! 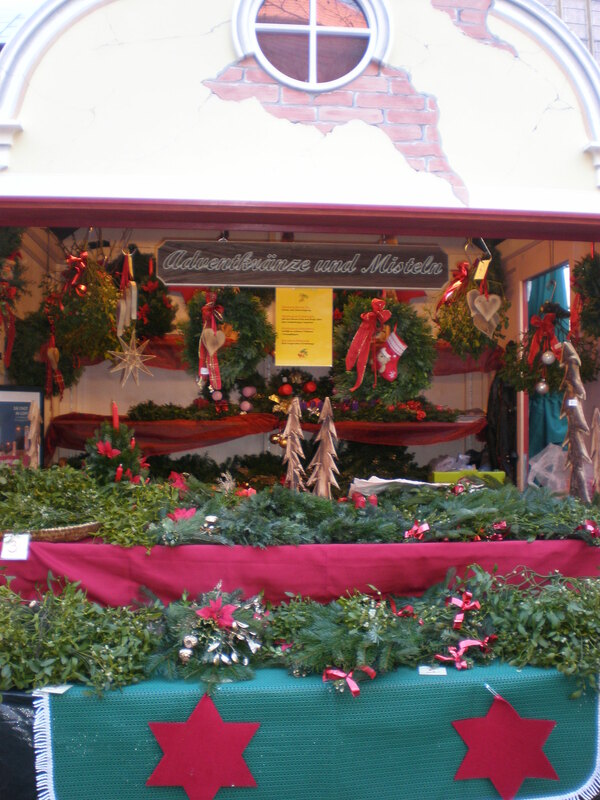 Of course, you can read my post Christmas markets in Vienna online, here on my blog, for free. 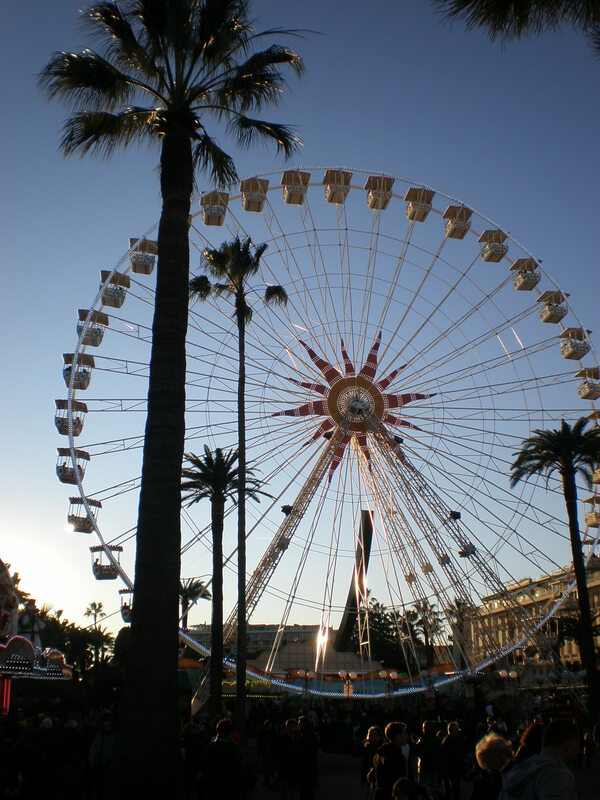 But you can read my travel article app offline any time you want and anywhere, for free. Once you download it (and downloading is free) you don’t have to access the Internet. If you have bad reception on your mobile phone while travelling, then no worries because you can read a travel article app offline. But what’s really useful with these travel article apps is their GPS navigation system. 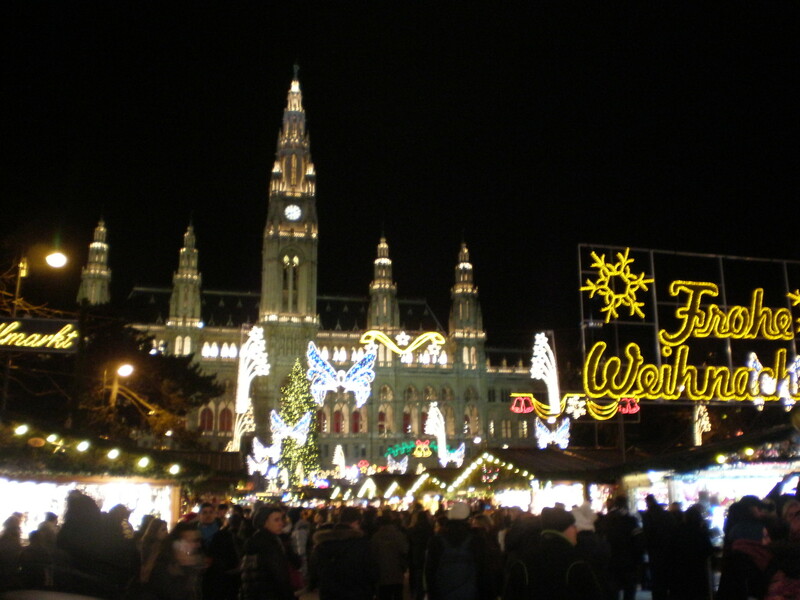 So, let’s say you’re in Vienna and you want to visit some of the Christmas markets I wrote about. No problems, you don’t need to carry heavy guidebooks or maps or ask someone for directions. Three years ago I took my mum to Austria for a day trip. 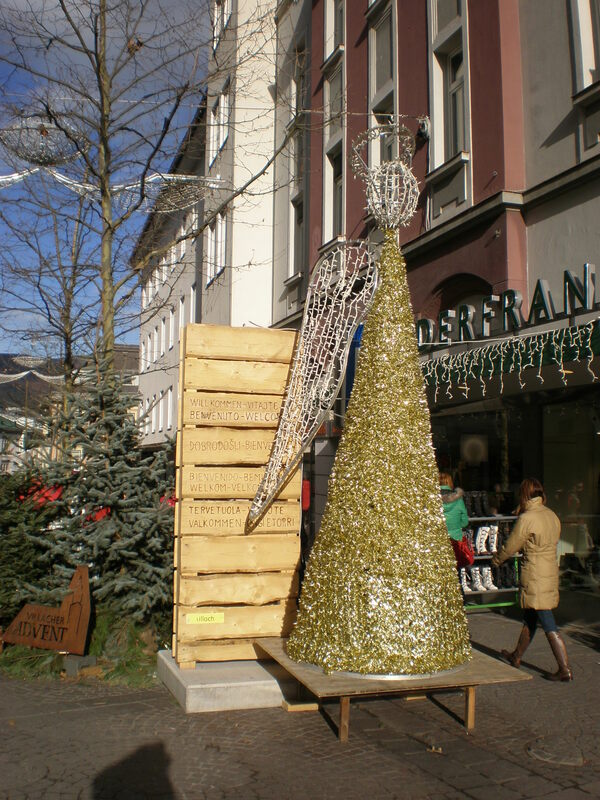 Our destinations were Villach and Velden and their charming Christmas markets. We both love Christmas markets very much so I decided to ask her and not my boyfriend (now my husband) to join me. Besides my boyfriend and I went to a chocolate factory near Graz (Austria) just a few weeks before this Christmas markets day trip. 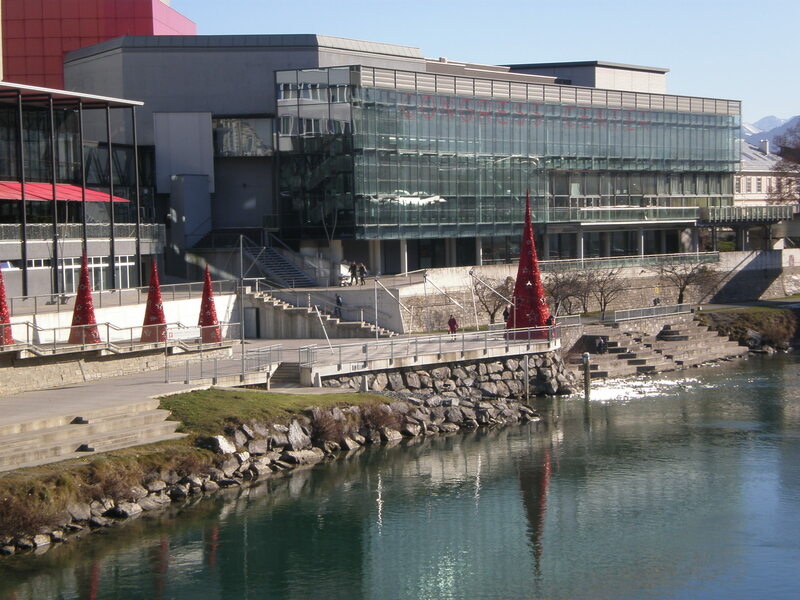 Villach is located on the Drau river and it’s the seventh largest town in Austria with a population of around 62 000. 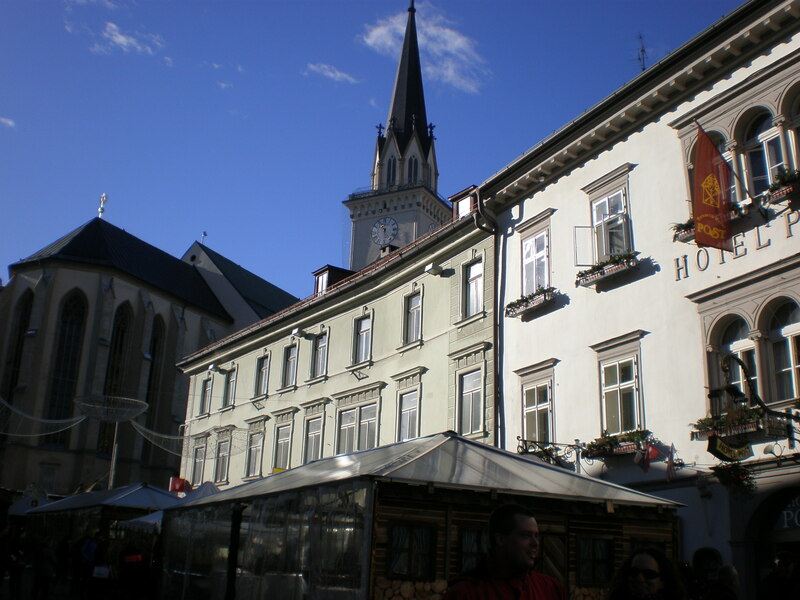 It’s got a big Croatian community too so it’s not a surprise that Villach is very popular for shopping and Christmas trips from Croatia. Velden am Wörthersee is a market-town and a popular holiday resort situated at the Wörthersee lake and close to Villach. What says Christmas better than having a mug of glühwein (mulled wine) in one hand and a giant pretzel in another? 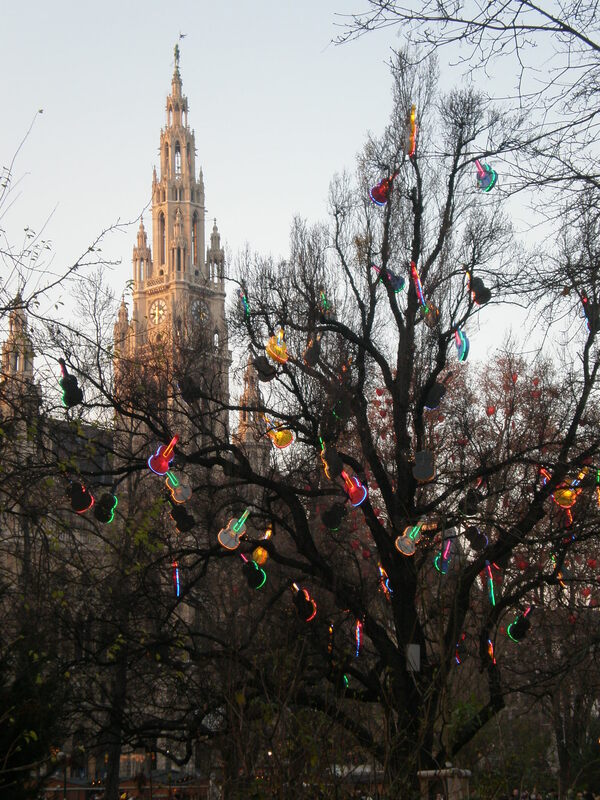 Every town in Austria has its own Christmas market but perhaps the most famous ones are in Vienna, the city of the waltz. 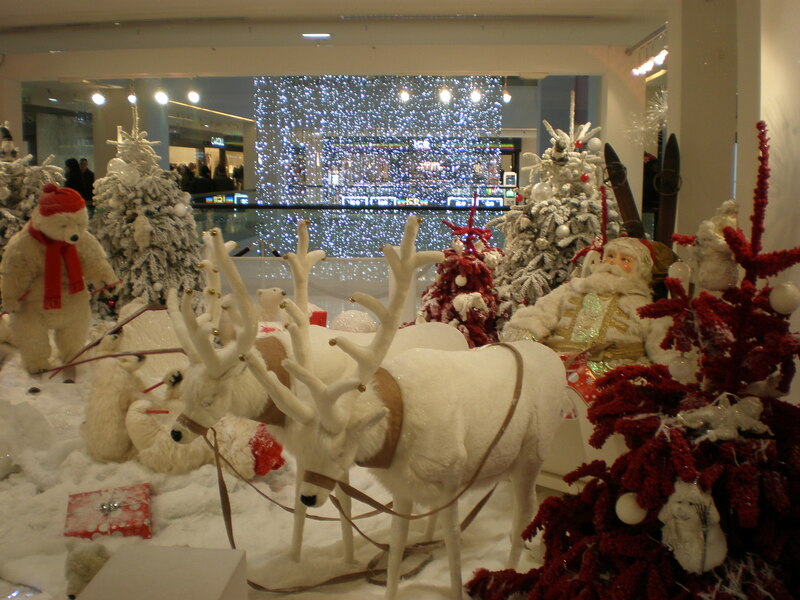 The Christmas markets are scattered around the center of Vienna but there are a few at the outskirts too. 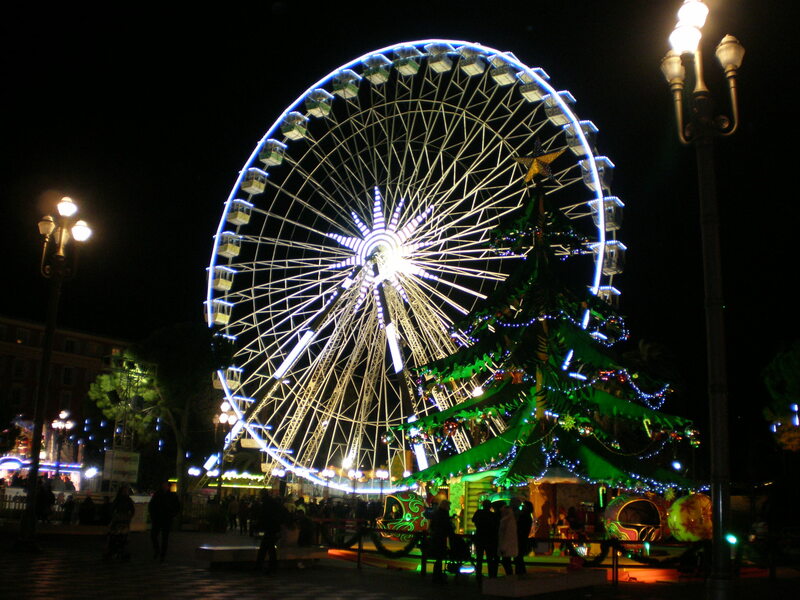 The biggest and the best is the Christmas market (Christkindlmarkt) in front of the City Hall. It celebrates its 30 year anniversary this year. Beware of the crowds though! You should visit it twice. 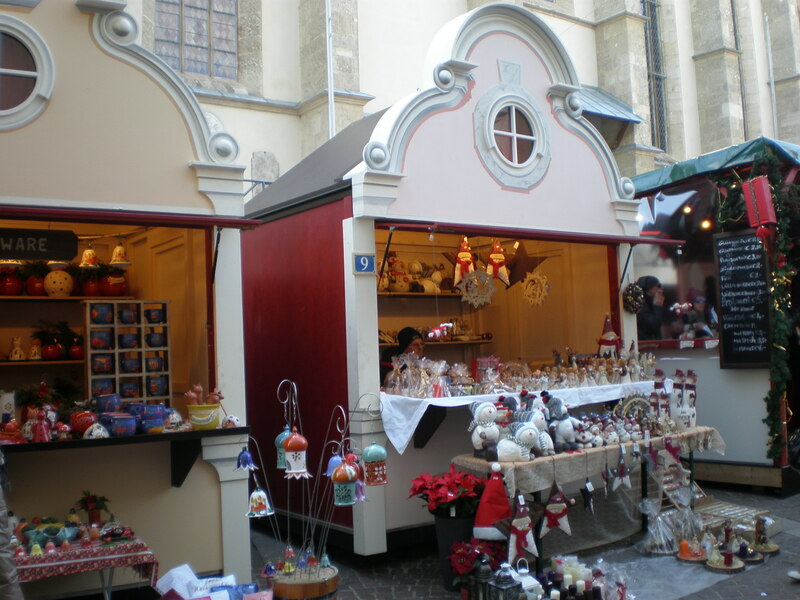 Once during the day so you can see the goods at the different stalls (Christmas decorations, chocolates, gingerbread, candles, ceramic ware, leather notebooks, etc.) and once in the evening so you can admire the Christmas lights and decorations which hang from the trees. If you have got children then you can take them to participate in the Christmas workshops in the City Hall so they can make marzipan cookies or candles or other stuff for a small fee. 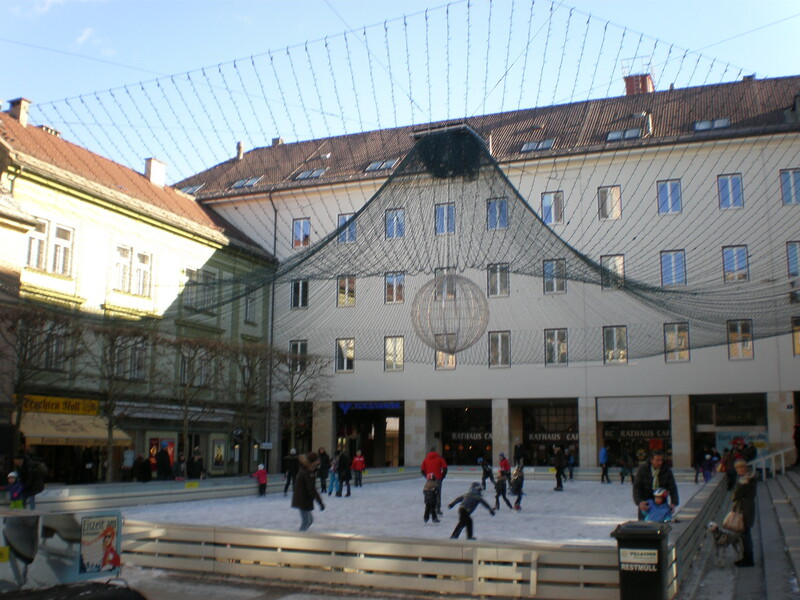 You can also hear Christmas carols or Christmas stories read by different Austrian celebrities at the stage under the giant Christmas tree. Of course, there’s plenty of choice of food and drinks. You can have hot chocolate, or punch or mulled wine in beautifully decorated Christmassy mugs. The average price of mulled wine is 3.50 euros, but you actually pay it 6 or 7 euros because of the deposit for the mug. If you return the mug you get back 3 euros, but if you decide to keep it ( and it is so nice that you would want to keep it) you actually paid your drink 6.50 euros. But it’s worth it. Trust me, I had the best mulled wine and punch at Vienna’s Christmas markets. Every Christmas market has got its own style of the mug so you can drink around and decide to keep the one you like the best or collect them all 🙂 You can eat sausages and you can have soup in the bread or baked potatoes or chestnuts or toasted almonds and many other traditonal foods. So, don’t be on a diet when you come to Vienna! Apart from all the gorgeous foods&sweets at the Christmas markets there are so many old fashioned traditional pastry &cake shops that you just can’t say no to a piece or two of cake. Kangaroos and koalas? No, you’re barking up the wrong tree. 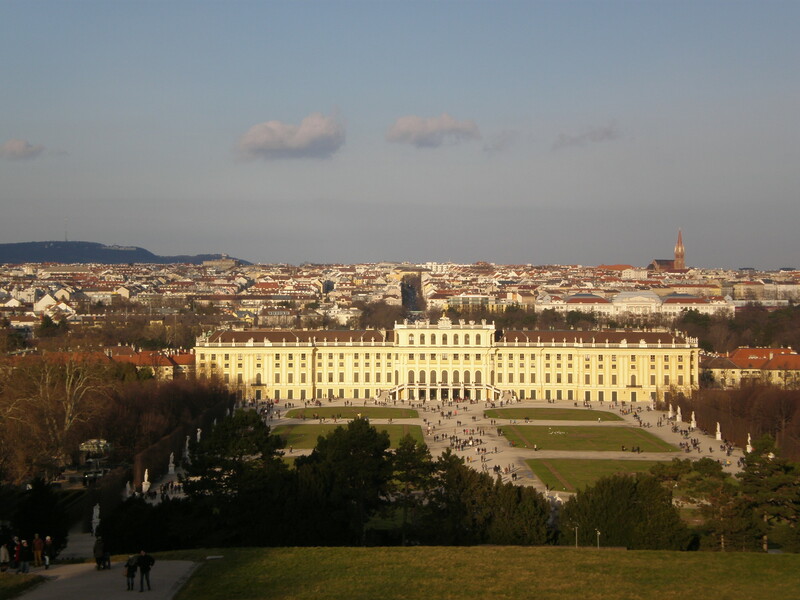 Austria is famous for the waltz, the apfelstrudel and other delicious cakes, Christmas markets, beautiful landscapes, the movie The Sound of Music and the Hapsburg Empire that once encompassed the entire Central Europe. 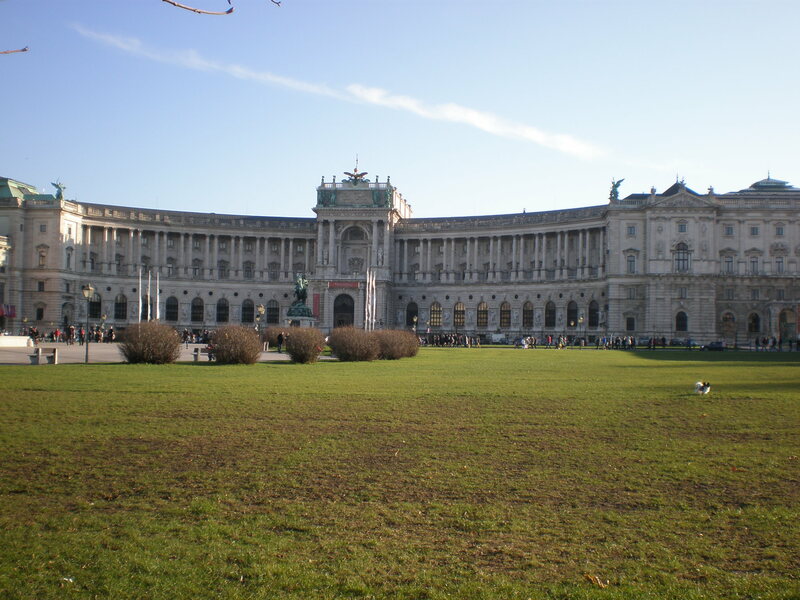 I first visited Austria’s capital Vienna (Wien) with my other best friend M. (not the one that I go to London with) in 2005. We spent a couple of days in Vienna at our high school friend’s who was studying there. I even got to celebrate my birthday there and enjoy the Christmas markets. Since then I visited Vienna twice (one afternoon whilst returning from another trip) and a short business trip last year. I’ll be travelling to Vienna again next month because of my work but I’ll be sure to find some free time to enjoy the many Christmas markets. I’ve visited a couple of other Austrian cities too but I still haven’t done any skiing or hiking in Austria which is a shame because this small country offers plenty of outdoor activities in beautiful nature. 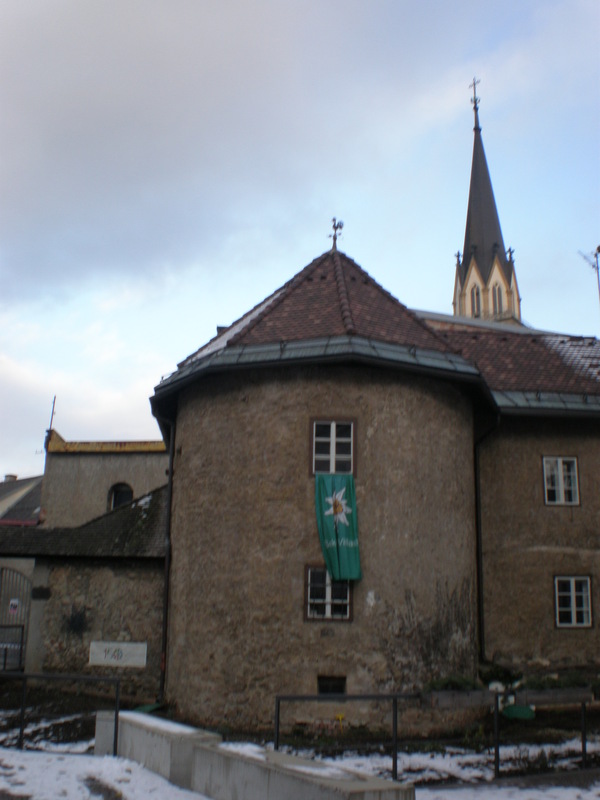 In 2013 I went to Graz, Austria’s second largest city and visited the chocolate factory Zotter in Riegersburg with my boyfriend (now my hubby). That was a fun day even though it was a gloomy November day. I’m a chocoholic but after trying out a huge amount of chocolate (from almost 90% cocoa content to milk chocolate standard of around 30 % cocoa content) I was put off of chocolate for a few days. Luckily I soon recovered from that chocolate overdose and continued to enjoy chocolate in its many delicious forms. Only a month after this chocoholic experience I visited the Christmas markets in Villach and Velden with my mum who also loves browsing Christmas markets and drinking mulled wine and eating pretzels and other sweet stuff. There’s something almost magical about the Christmas time in Austria; everything is so beautifully decorated, you can hear carols in the streets, the smell of cinnamon and punch wafts through the air and there’s a promise of a white Christmas.